The S2000 KPro includes a new or user supplied RSX (PRB) ECU adapted for the S2000, and a wiring harness for the crank and cam sensors. 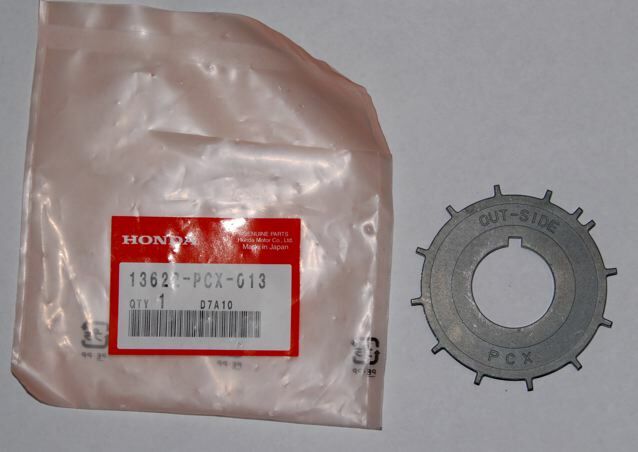 It does not include the Honda parts - see mechanical modifications below. 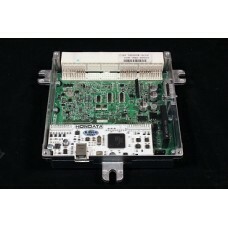 All user supplied ECUs must be PRB A01-A12 and in perfect working order. We will not use any other ECUs for the S2000. Factory reliability for your S2000. Dash water temperature display functions normally. See the K-Pro page for more information. The following items must be replaced before the S2000 K-Pro can be used. 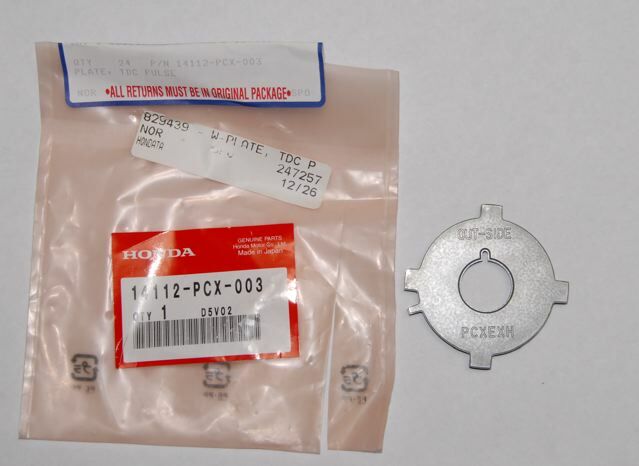 These parts are not supplied by Hondata and should be purchased from a Honda dealer. The approximate cost of these parts is $300-375. Remove the front timing cover. Remove and replace the crank timing wheel. Remove and replace the crank sensor in the timing cover, and reinstall the timing cover. Remove old wiring to crank sensor. 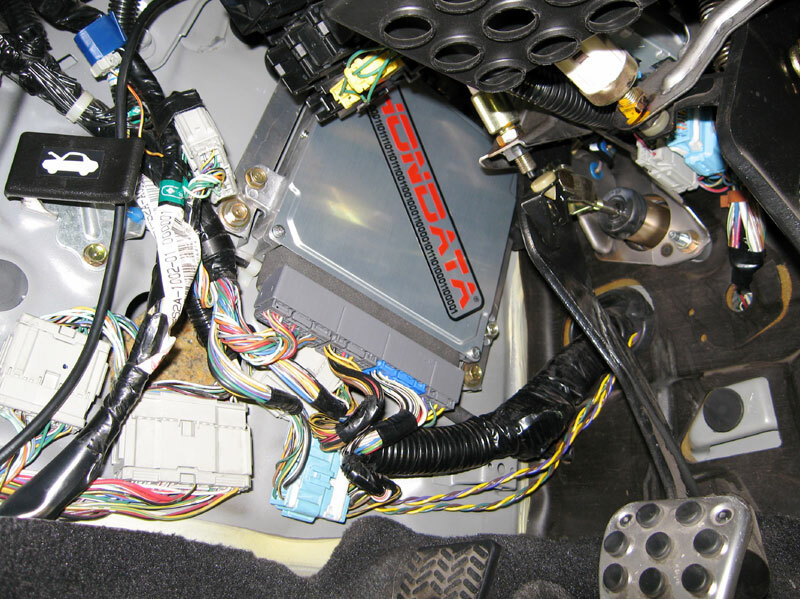 Install wiring harness from crank sensor to ECU. Reinstall water pump pulley and accessory belt. Remove and replace the TDC sensor wheel (exhaust cam). Install the new TDC sensor and PCV valve in the new timing cover, and install the new valve cover. Remove S2000 ECU. Install the wiring harness through the firewall underneath the clutch master cylinder. If you have cut the wiring rubber boot, seal it with silicone sealer. As a bonus your will find that your brand new valve cover is not dirty and has no oil stains. gear. The acceleration fueling and timing functions are also wonderful. simple as altering one or two variables. standalone ECU systems for S2000s. Immobilizer. The S2000 immobilizer is not supported. Water Temperature. The S2000 dash water temperature display functions as per normal. For an AP1 the second segment normally lights at 145 degrees F, and the third at 165 degrees F.
Air Conditioning. In KManager you will need to select 'Use alternate AC switch input'. No wiring changes need to be made. Idle up and enrichment is as per the stock ECU. Closed loop. The RSX ECU will run in closed loop using the S2000 primary oxygen sensor. Due to the RSX ECU normally using a wide band oxygen sensor, in KManager you use select 'Use Secondary Oxygen Sensor for Primary' (don't panic - the ECU is actually running off the S2000 primary oxygen sensor, which has been routed through the RSX ECU as the secondary oxygen sensor). Using a wideband RSX oxygen sensor is not recommended because the oxygen sensor is expensive (as much as an aftermarket wideband) and substantial re-wiring is required. The ECU can datalog aftermarket wideband controller which output a analog voltage (via the ELD input). OBDII Scan tools. OBDII scan tools work normally. 2006-2007 S2000. The RSX ECU is not compatible with the 06-07 drive by wire, so the S2000 K-Pro cannot be used. Sorry. User Supplied ECUs. 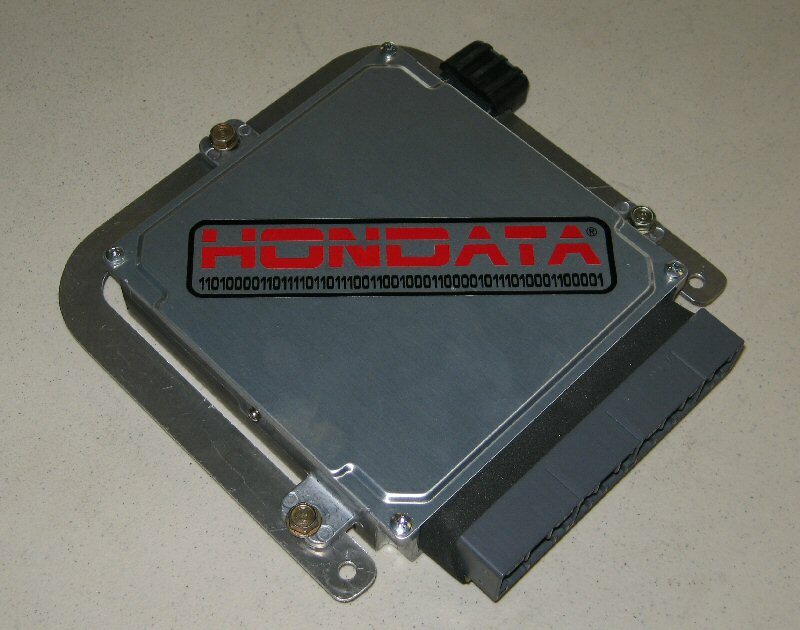 User supplied ECUs must be checked before sending to Hondata. 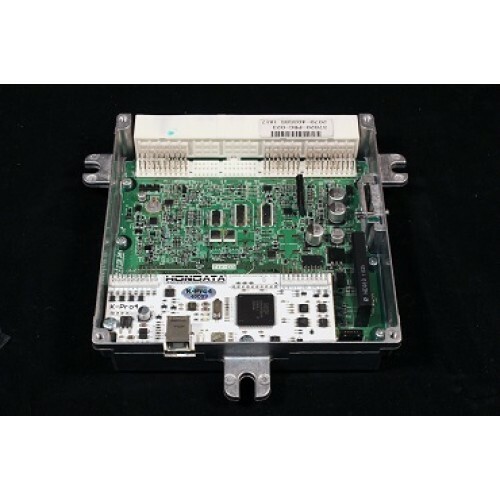 Any damaged or faulty ECUs will incur a processing cost. ECU Mounting. The ECU is the approximate size and shape of the S2000 ECU, and is located with the same orientation as the S2000 ECU, however it does not have the mounting holes in the same location. A mounting bracket is supplied to mount the ECU in the stock location. Note that this photo is from a hand made prototype - the finished bracket will be laser cut.